The Baby Book – available in-store and online! America’s bestselling “baby bible” – an encyclopedic guide to the first two years of your baby’s life. The million-copy bestseller has now been revised, expanded, and brought thoroughly up-to-date – with the latest information on everything from diapering to day care, from midwifery to hospital birthing rooms, from postpartum nutrition to infant development. The Searses draw from their vast experience both as medical professionals and as parents to provide comprehensive information on virtually every aspect of infant care. 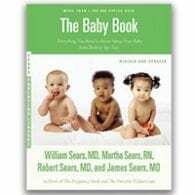 The Baby Book focuses on the essential needs of babies – eating, sleeping, development, health, and comfort as it addresses the questions of greatest concern to today’s parents. first-aid procedures and much more!